The monograph Global Financial Reporting: The Past, Present and Likely Future, one in the series of seven monographs written on the occasion of the 70th anniversary of the Department of Accounting at the University of Lodz, examines the development of financial reporting from various perspectives and presents the activities aimed at building foundations for global financial reporting. An unquestioned authority in the latter field was Professor Alicja Jaruga, head of the Department until 1998, who became interested in the worldwide harmonisation of accounting and started the comparative research on international accounting issues in the 1980s. This monograph is intended as a form of tribute to this wonderful person, who passed away in 2011. All three authors were privileged to know her well. The first chapter, written by David Alexander, addresses the theoretical and conceptual aspects of financial reporting. It deals with the essence of the communication and transmission of financial information, the role of financial (and non-financial) reporting, and the conceptual basis for reporting, among other wide-ranging issues. Some thought is given to questions regarding the application of International Financial Reporting Standards (IFRS) after Brexit. The second chapter, written by Stephen A. Zeff , puts global financial reporting in an institutional perspective and explores the relationship between financial and non-financial reporting. It describes also the US approach to the implementation of IFRS. The third chapter, written by Radek Ignatowski, covers the regulatory and practical aspects of the adoption of IFRS. It provides an analysis of the Polish regulations relating to IFRS and discusses the results of quantitative and qualitative research on the conservatism of Polish regulations and the quality of financial statements prepared in accordance with EU IFRS. As exemplified by the content of the monograph, it is possible to combine the knowledge and experience gained from working at various scientific centres in the world (University of Birmingham, UK; Rice University, Houston, USA; University of Lodz, Poland) to achieve a synergistic effect. 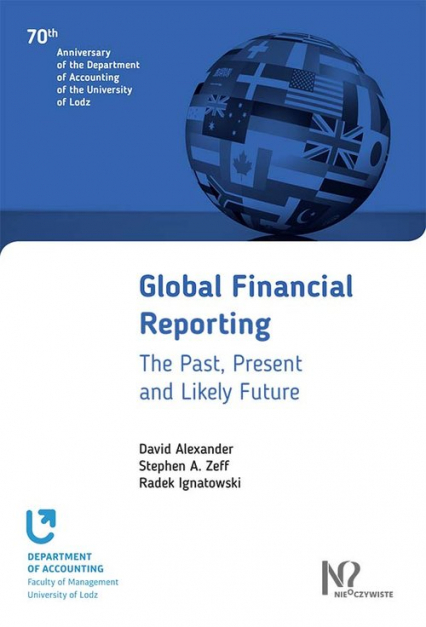 Based on their extensive specialist expertise, the authors raise the controversial issue of the likely successful achievement, or otherwise, of the global financial reporting initiative, believing that such an issue deserves popularisation and in-depth discussion.